Thank you, Terri, for taking the leap and reading this fabulous Bellarke fanfiction. On the Ground: The kids are acclimating to life on the ground, building shelters, learning to hunt, not drowning. They’re also freaked out because 1) there are Earthborns, 2) the Earthborns may have just killed someone, and 3) people are getting sick and Clarke swears it’s not radiation but who knows. The kids catch a spy – an Earthborn, and find out that another dropship came down a year ago. On the Space Station: Glass and Luke, who are spectacularly boring, break back into Phoenix station and get onto a dropship before it launches to go to Earth. The kids are all freaked out by the idea of Earthborns (I like the term Grounders better). Meanwhile, Clarke and Bellamy are hiking through the woods looking for Octavia. They go for a swim then find a trail, so naturally, they kiss in celebration. (This book is glorious Bellarke theatre.) They find a piece of scrap metal with a Colony logo emblazoned on it, and then Clarke gets bitten by a snake. Bellamy carries Clarke back to camp and they pump her with a universal antidote. Wells tells Bellamy about the surprise attack and the Earthborns. Clarke has a nightmare about her parents’ lab and her friend Lilly, who also happened to be Bellamy’s girlfriend back on the space station. Awkward. Clarke doesn’t tell him. Wells’ friend Molly is getting sicker and Felix comes in with similar symptoms. Clarke is pretty sure it’s not radiation poisoning but the kids are starting to freak out to that effect. The space babies actually have the nerve to question Clarke’s medical prowess, but admittedly, they’re not getting stabbed at nearly the rate as their TV show counterparts and she hasn’t saved anyone from dying yet. Wells catches a spy – an Earthborn girl, who tells Clarke there was a previous dropship from the Colony containing 10 adults. The Earthborns took the colonists in but they did something bad and got kicked out. Wells talks to Sasha as they walk through the woods. Sasha’s father is their group’s leader so she and Wells bond over this commonality. Sasha casually mentions that post-radiation Earth has freaking huge spiders that live in the forest and I’m sorry, has Hagrid been there?! Also, now corn is green with pink seeds and grows on trees, except for the spicy BLUE corn. (Naturally.) They bring back corn for the starving space kids. Bellamy talks about Lilly. Clarke finally confesses that Lilly was a patient in her parents’ experimental lab and that Clarke mercy-killed her when Lilly asked her to. Bellamy freaks out. They find Priya, a girl Wells had been friendly with earlier, hanging dead from a tree with “Go Home” carved into her feet. She’s tied with cords from the dropship and they think the Earthborns have been in their camp. Sasha points out a poisonous berry plant growing close to their camp – ding, ding, ding, that’s what’s making the kids sick. Sasha takes Clarke to a cave where she’s hoarded up a trove of spaceship scrap metal and trinkets left behind by the first dropship. (Is anyone else picturing Ariel in her human cave?!) Clarke finds her father’s watch and realizes that maybe he didn’t get executed like she thought. Wells and Sasha talk in the woods and bond and kiss, so he lets her go home. In flashback, Wells sees his father staring at one of the orphans from the care center and gets suspicious. Later, he follows his father to the remembrance wall, where his father reveals that before he met Wells’ mom, he fell in love with a woman named Melinda B from Walden. Glass and Luke decide that Glass will go back through the air vent and if it looks okay, she’ll sneak Luke through too in case they start sending people down to Earth in the dropships. Glass climbs into the vent, but Camille has blocked off the exit Glass showed her, so Glass decides the best solution is to do a spacewalk from station to station. (Because why not.) Luke tries to discourage her but frankly, he’s not very good at it. (Let’s take a moment to be glad that Luke and Glass weren’t in the show because ZZZZ THEY ARE SO BORING.) While spacewalking, Glass misses a handhold and there’s a moment when I’m sure she’s going to float away like Sandra Bullock in that one movie trailer, but then Luke comes back from beating up some scavengers and pulls her back in. Oh well. Glass gets back to Phoenix station and raises the barrier so all the “poor people” can cross again. Yay oxygen! They find Glass’ mom and head for the dropships so they can get a spot – there aren’t enough for the population. Titanic and lifeboats, anyone? A guy with a violin plays for the frantic crowd because the Titanic themes just keep on coming despite the lack of space icebergs. Camille shows back up to RUIN EVERYTHING and tells Luke about how Glass got Carter killed when he was never the father of the illegal baby in the first place. Luke gets really mad. Glass and her mom don’t think they’re going to make it on the dropship, but then Vice-Chancellor Rhodes (whom Glass’ mom slept with before, remember?) sees them and they all get on one of the dropships. Before it can leave the space station, a frantic guard gets on and pulls his gun (you should not have guns in space dude, you could poke a hole in your space station). Bellamy realizes that asking Clarke to mercy-kill her would be exactly the kind of thing a sick, dying Lilly would have wanted. They kiss and make up. YAY! They see a light and find the Mount Weather bunker. Sasha introduces them to her father and also, they saved Octavia. YAY! Sasha’s father Max tells them that when the colonists landed, there was an accident. They went out fishing with one of the Earthborn children and he drowned. The space adults tried to save him but they didn’t know how to swim. The Earthborns thought it was intentional so they tried to exile the Colonists, but they fought back. Most of them died except for the doctors, who didn’t fight back – Clarke’s parents are alive! Graham is still livid that Wells let Sasha go, and Wells decides to leave. He meets Kendall in the woods and suspects that maybe she’s the one that killed Priya. Bellamy says something his father used to say and they realize that Jaha is Bellamy’s (and Octavia’s?) father and they’re siblings too. 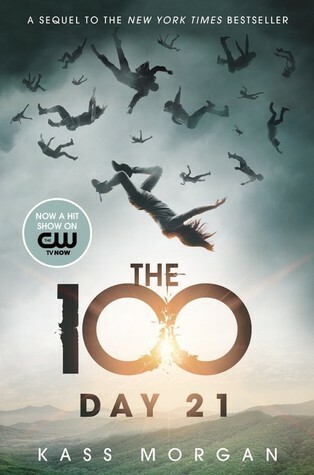 Bellamy and Clarke are staring up at a falling star and realize it’s not a meteor – it’s more dropships. The rest of the colony is coming to Earth. In the scuffle, Luke tries to get the guard off the dropship and Sonja gets shot. She dies and Luke takes her place on the dropship.